The University of Arizona team played a huge part in providing "cutting-edge technologies" to support the international collaboration. PHOENIX — Research faculty, graduate students and undergraduate students at the University of Arizona helped capture the very first image of a black hole, which scientists revealed Wednesday. According to a release from the university, the image is the first "direct visual evidence of a supermassive black hole and its shadow." The black hole, with a mass 6.5 billion times that of our sun, sits at the center of a galaxy called M87, which is about 55 million light-years from Earth. Dimitrios Psaltis, Event Horizon Telescope (EHT) project scientist and astronomy and physics professor at the University of Arizona, said in the release that capturing an image of this object, despite it being about the size of our solar system, is like "taking a picture of a doughnut placed on the surface of the moon." The EHT is a collaboration that spans across the globe, offering scientists a brand new way to "study the most extreme objects in the universe." The University of Arizona has 36 people involved in the EHT, including eight research faculty, eight graduate students, 13 undergraduate students and seven telescope support staff. The university is also a stakeholder institute in the EHT. "The Event Horizon Telescope allows us for the very first time to test the predictions of Einstein's General Theory of Relativity around supermassive black holes in the centers of galaxies," Psaltis said in the release. "The predicted size and shape of the shadow theory match our observations remarkably well, increasing our confidence in this century-old theory." In capturing the image of the black hole, according to the release, eight telescopes were brought together to create one virtual telescope "as big as Earth." In the release from the university, Daniel Marrone, an associate professor of astronomy at the UA, referred to the EHT observations as a "coordinated dance." "We simultaneously pointed our telescopes in a carefully planned sequence," he said. UA research faculty and students were responsible for integrating two telescopes into the array. 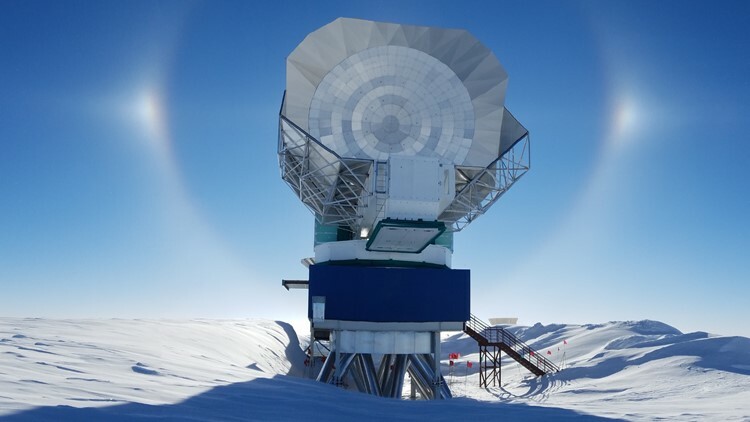 Marrone along with graduate student Junhan Kim traveled to Antarctica to integrate the South Pole Telescope into the EHT array. A photo of the South Pole Telescope. The university also brought the Submillimeter Telescope on Mount Graham in southeastern Arizona into the network. 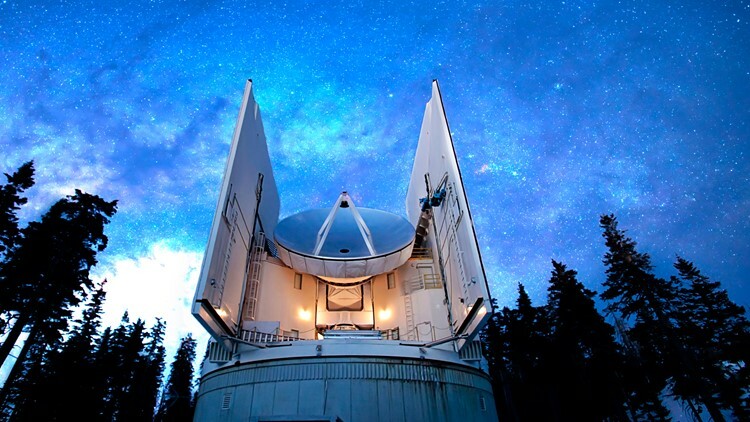 A photo of the Submillimeter Telescope on Mount Graham in southeastern Arizona. The UA team provided "cutting-edge technologies" to support the EHT efforts, according to the release. Simulations of the black hole's shadow are also hosted in the CyVerse, which is headquartered at the UA. "The UA EHT team developed the first code that traced the path of light and simulated its encounters with black holes to compute realistic images of black holes," the release read. Six scientific papers detailing the discovery were published in an issue of The Astrophysical Journal Letters Wednesday. In describing the importance of such an image the university wrote that "no one had ever seen what was deemed an object that, by its very definition, cannot be seen. Ever." "An object so alien that it defies our imagination, whose mere presence rips apart everything we think we know about the laws of physics," the university wrote, "and so extreme it twists space and time and the very essence of our existence into a swirling, contorted maelstrom of… nothing."